Marymere Falls is located in Olympic National Park near Lake Crescent in Washington, United States. 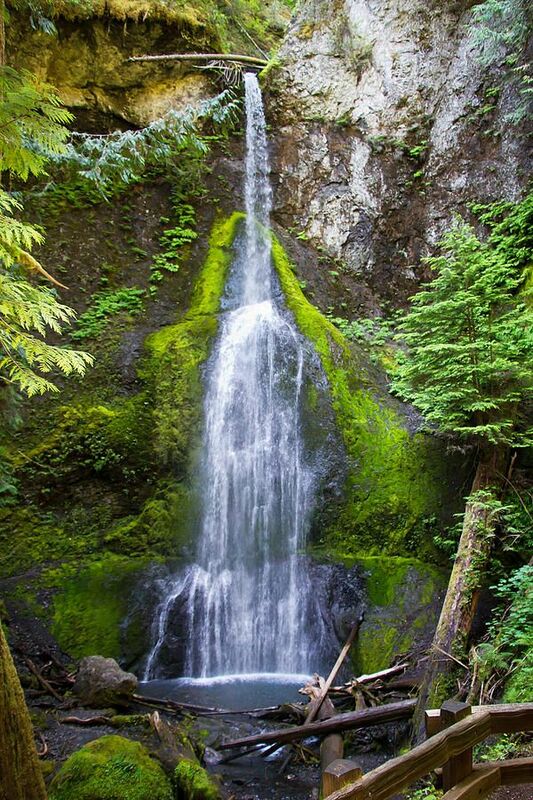 The falls are accessed by a one-mile, well maintained, dirt trail through old-growth lowland forest consisting of fir, cedar, hemlock, and alder trees. Falls creek descends from Aurora Ridge and tumbles over Marymere Falls and then flows into Barnes Creek. It has a height of 90 feet. The falls is one of the more popular attractions in the area, due to ease of access and proximity to U.S. Highway 101.